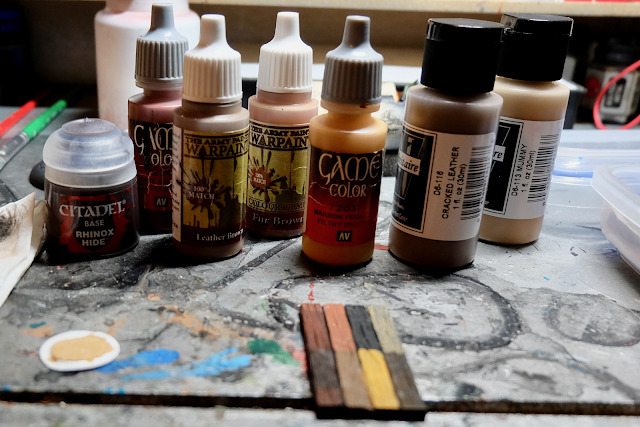 For those of you that are new readers to my blog, you should know that for the last year or so, my painting focus has been Blood Bowl. The drive for this has come from my local League that runs short seasons giving me just enough time to paint up a new team for the next season. The results have been pretty solid. I have played in four seasons and two tournaments with a new team each time that has really gotten me through the list of Blood Bowl teams in need of painting. 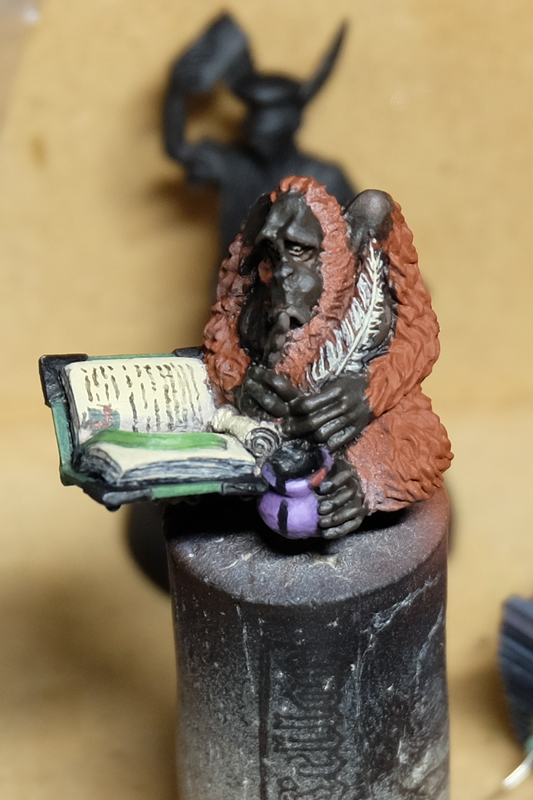 Why am I talking about all this Blood Bowl nonsense when there is clearly an Orangutan reading pictured below? Well in order to avoid burn out, I will switch up my focus every so often and pick up something else. Recently a lot of my friends have been gearing up for painting contests (Our local convention KublaCon and some for the Crystal Brush at Adepticon), with all the new skills I have picked up recently thanks to CK Studios and Miniature Monthly (See previous blogs here and here) I figured I should put my skills to the test. I have never spent time painting a miniature specifically to enter it into a contest. (I have done speed painting contests and been at Blood Bowl Tournaments with a Best Painted category). The thing about painting for a contest is that suddenly a lot more thought has to go into the figure. You are suddenly thinking about how the colors work together, combining warm and cool, light and dark, airbrush and bristle brush. Every little decision takes on new levels of importance, all the while a little voice inside your head says "Needs more contrast" on endless loop. The pressure builds until you are scared to even put paint on the figure. This weekend I started work on him. I got some airbrushing done and added a base coat to everything. I put some care into the book and started thinking about how to really tackle the strong light/dark dynamic I am expecting to have from the Object Source Lighting (OSL) of the candles on the base. 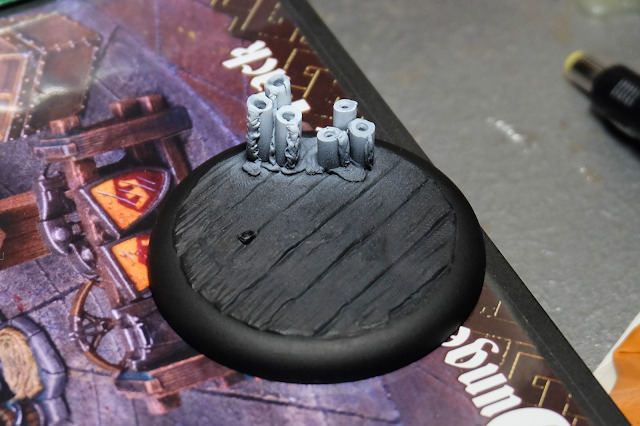 I also primed the base and applied a light touch of zenithal to give me an idea of how to handle the candles. So for the first time in my life, I am doing a test piece. It just happened that I had a piece of resin wood from a class I did at GenCon that game me a nicely textured piece I can explore with a few different colors... now I just have to find one that will work with the orange of the Librarian (and the candle light).